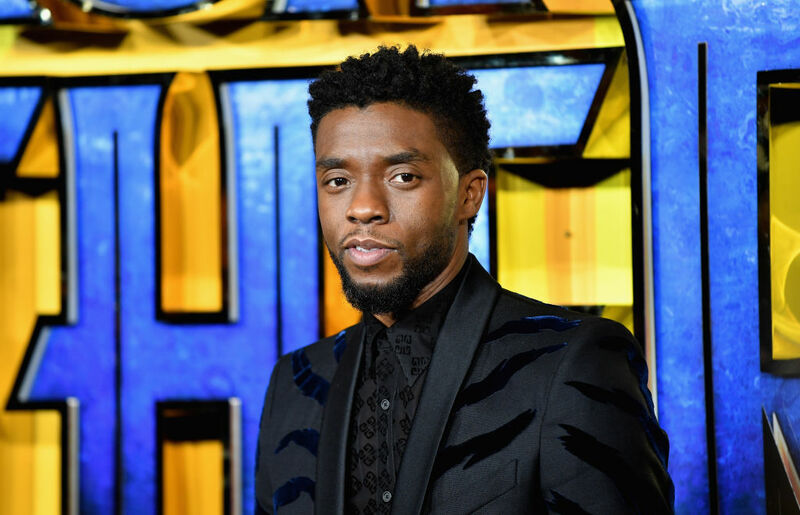 Chadwick Boseman is one of hottest names in Hollywood after starring in the hit movie 'Black Panther.' The movie, which has broken a number of box office records over the course of its past two months, is Boseman's most successful role to date. But Boseman's current success might have been made possible thanks to an act of kindness from another famous Hollywood actor a few years back. Boseman, who is currently 41-years-old, studied at Howard University in the late 90s. While he attended the historically black college, he and some of his fellow students decided to apply to a theater program at The University of Oxford in England. Boseman and his fellow classmates got in, but couldn't afford to attend to go. That's when his acting teacher and mentor, The Cosby Show's Phylicia Rashad, decided to step in. Boseman told Rolling Stone magazine that Rashad "pushed for us," and that "she essentially got some celebrity friends to pay for us to go." After Boseman finished up the program, he received a beneficiary letter and figured out who paid for him to attend; Denzel Washington. He wrote Washington a thank you letter, but never gave it to him, and never told anyone else about it for over 20 years. When Boseman was on The Tonight Show earlier this year, he told Jimmy Fallon that he has "basically been holding this secret [his] whole career," because he didn't want Washington to feel like he owed him anything else. He said that he wanted to meet him in person before saying anything, but after 20 years he felt like it would be okay to reveal it to the world. Coincidentally, Boseman revealed on Fallon that before the Rolling Stone interview went to print, he finally got to meet Washington at the New York premiere of Black Panther, which according to Boseman was an "amazing" experience. The Black Panther star said that when they met, he thanked Washington for paying for his Oxford experience over two decades ago. In response, Washington replied in jest, "Oh, so that's why I'm here. You owe me money! I came to collect!" They spent $5 million to get Brie Larson to play Captain Marvel, which is a break from the company's usual practice of getting stars fairly cheap for their first movies. Who are the highest paid African-American actors in Hollywood today?